After its thrilling victory vs. Northern Iowa in last Saturday’s Second Round home game, the program’s first-ever FCS playoff event, No. 6 UC Davis will face No. 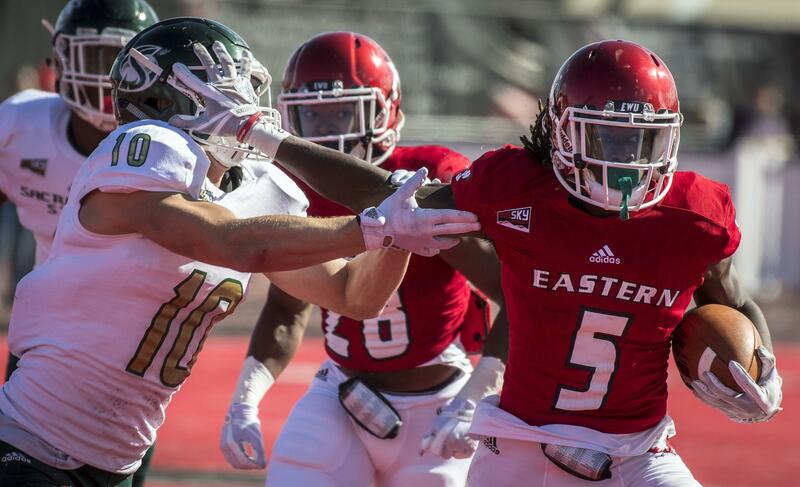 3 Eastern Washington in a postseason battle between Big Sky Conference teams. 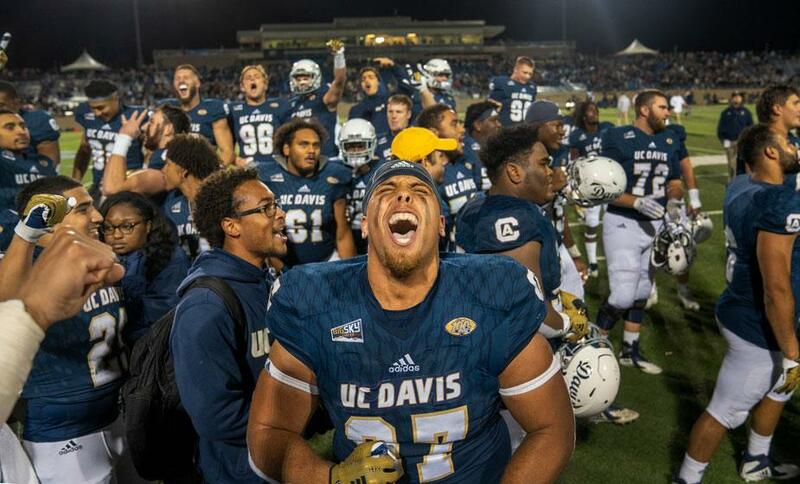 During the regular season, both UC Davis and Eastern Washington finished with 9-2 overall and 7-1 league records to share this year’s conference championship with Weber State, who also posted identical marks. In a game that features two of the nation’s top offenses — the Eagles and Aggies are ranked No. 4 and No. 7 nationally with their 44.9 and 40.6 ppg averages; at 326.6 yards per game, UC Davis’ passing offense is No. 3 in the NCAA while Eastern Washington is ranked No. 20 at 272.0 ypg — Saturday’s quarterfinal also features a couple unique factors. Since these teams squared off in the regular season, just a few weeks ago, this is the first playoff rematch involving Big Sky teams since 2014 when EWU hosted Montana that season. Key Player This Week: At 326.6 yards per game, UC Davis’ passing offense is No. 3 in the NCAA, and QB Jake Meier is the triggerman. Last week against a tough Northern Iowa defense, Meier had an uncharacteristic 28-42-310-1 TD line, with 2 interceptions. 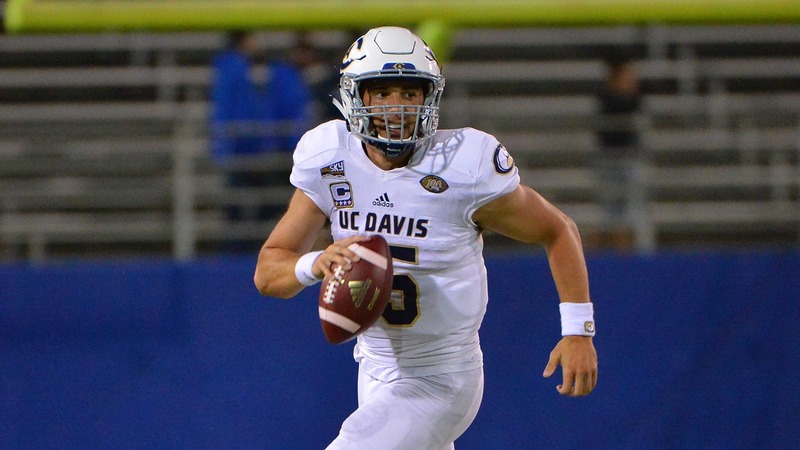 He’ll need to return to the type of player he was against Sacramento State, where he threw for 478 yards, 4 TDs and 0 interceptions, in order to advance to the semifinals. Fantasy Bonus Baby This Week: WR Keelan Doss is a guy that is destined to be playing on Sundays, with 109 receptions, 1,191 yards receiving this year and 9 TDs. Last time against Eastern Washington, a 59-20 loss, he was held to 5 catches for 70 yards. UC Davis will need to find ways for him to produce more than this if they are to beat the Eagles. 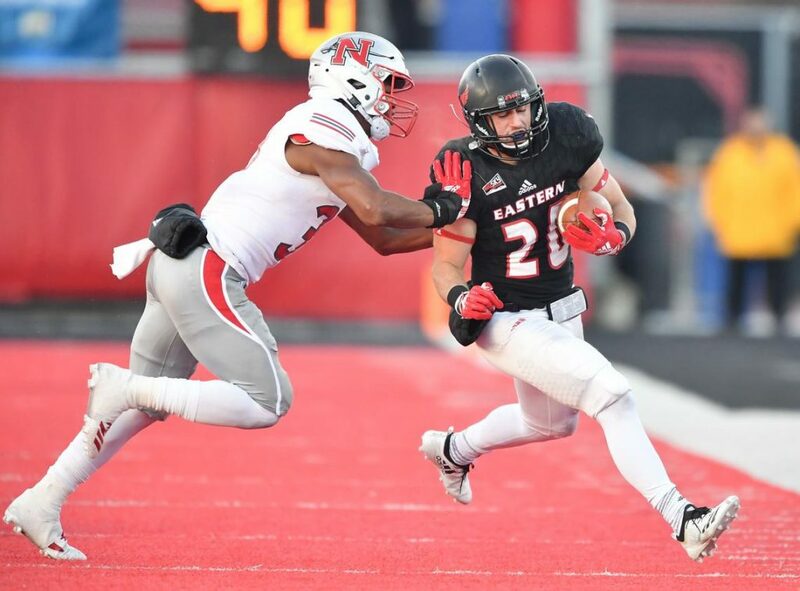 A rematch between Big Sky Conference teams will take place this Saturday when the Eastern Washington University football team hosts UC Davis in the quarterfinals of the NCAA Football Championship Subdivision Playoffs. The Aggies and Eagles met less than a month ago on Nov. 10 at “The Inferno,” and the Eagles won 59-20. Eastern trailed 10-0 early, then had scoring stretches of 21-straight, 14-straight and 24-straight to win by 39. The Eagles used a similar path toward its 42-21 victory over Nicholls in the second round of the playoffs on Dec. 1, falling behind 14-3 before scoring the next 39 for their fifth-straight victory. CHENEY, Wash. – At the close of the first half, Nicholls, up 14-3, had just advanced the ball 68 yards on 11 plays behind the offensive direction of QB Chase Fourcade, and PK Lorran Fonseca was lining up for a field gol try to put the Colonels up two scores. But Eastern Washington rover Kedrick Johnson eventually would scoop up returned a blocked field goal by nose tackle Dylan Ledbetter for a touchdown to instead have the Eagles enter the halftime locker room only down 14-10. That play would start a barrage of 39 unanswered points by the Eagles that would ultimately lead to Eastern Washington prevailing over Nicholls 42-21 in the second round of the FCS Playoffs. Key Player This Week: QB Eric Barriere continues to look more and more comfortable as Eastern Washington’s triggerman. Last week, after a slow start, he and the offense exploded to surge past Nicholls 42-21, and the experience of playing from behind will certainly help him this week, too. Though his stat line was modest (162 yards passing and 1 TD), he engineered the offense well in the second half and critically avoided mistakes. Against UC Davis a few weeks ago, he went 16-30-285-1 TD. 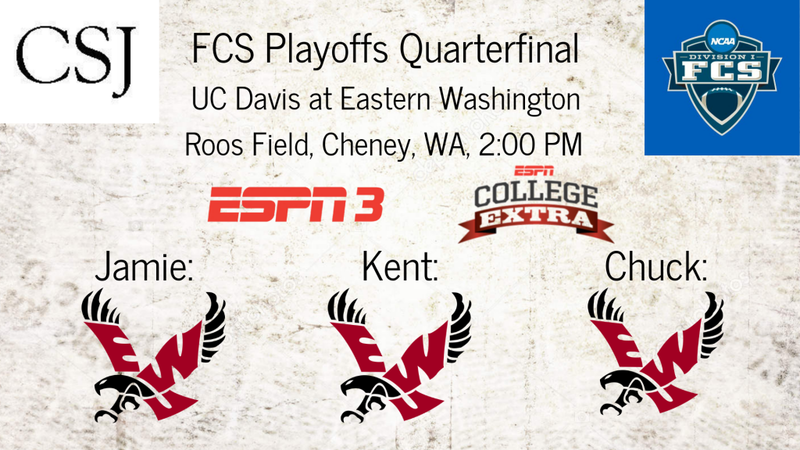 A repeat performance like that and Eastern Washington will be hosting a semifinal game. 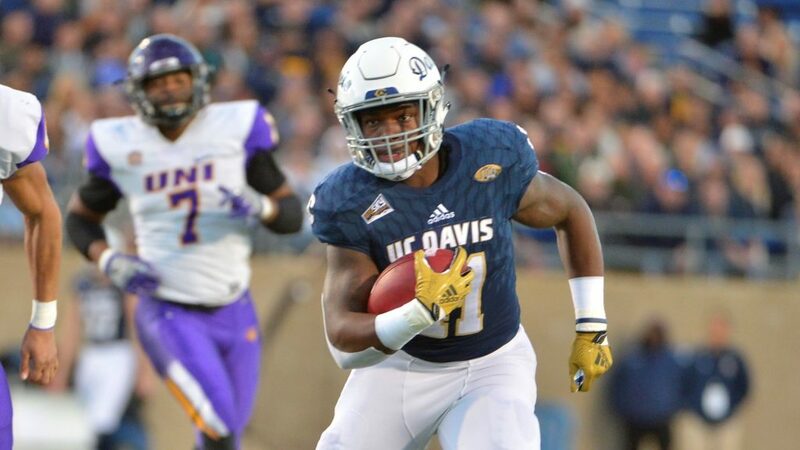 Fantasy Bonus Baby This Week: UC Davis’ attempts to slow down EWU’s passing game should open up some opportunities for the passing game, and that’s where WR Nsimba Webster might be able to have a big impact in the outcome. Last time out against he Aggies, he had 3 catches for 103 yards. Can he repeat that performance?